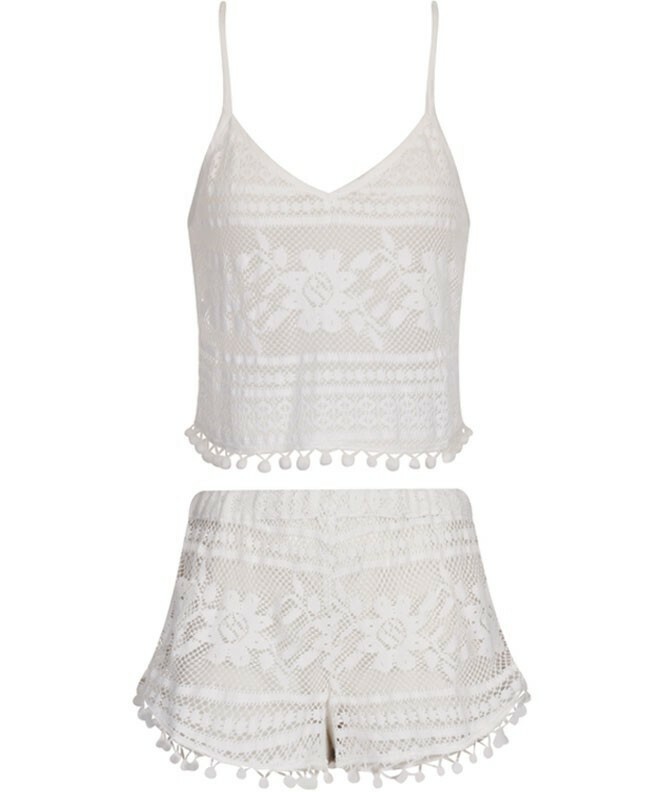 Whether you are heading to Coachella or Benicassim, this crochet two set is perfect for festival season. Featuring a cropped camisole top with scoop back and pom pom trim. 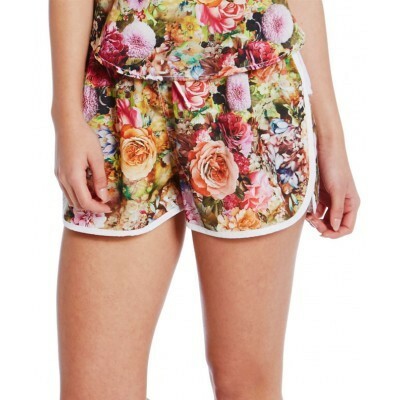 The matching shorts have an elasticated waist and pom pom trims. Wear it over our roar print bandeau bikini set with some wayfarer shades.